Our new line of Pro~Performance Premium Instrument Straps were designed for Live Performance. 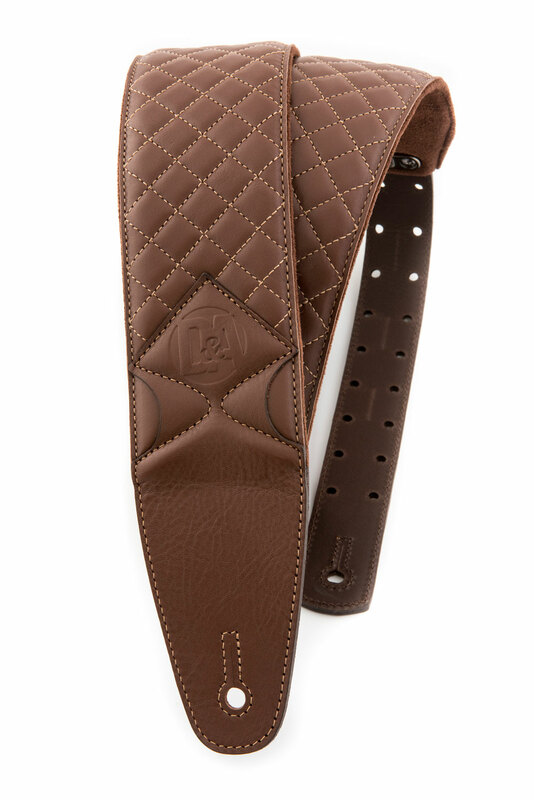 Using the highest quality materials, we set out to design a line of Instrument straps that would deliver maximum comfortability, expanded functionality, and performance reliability. 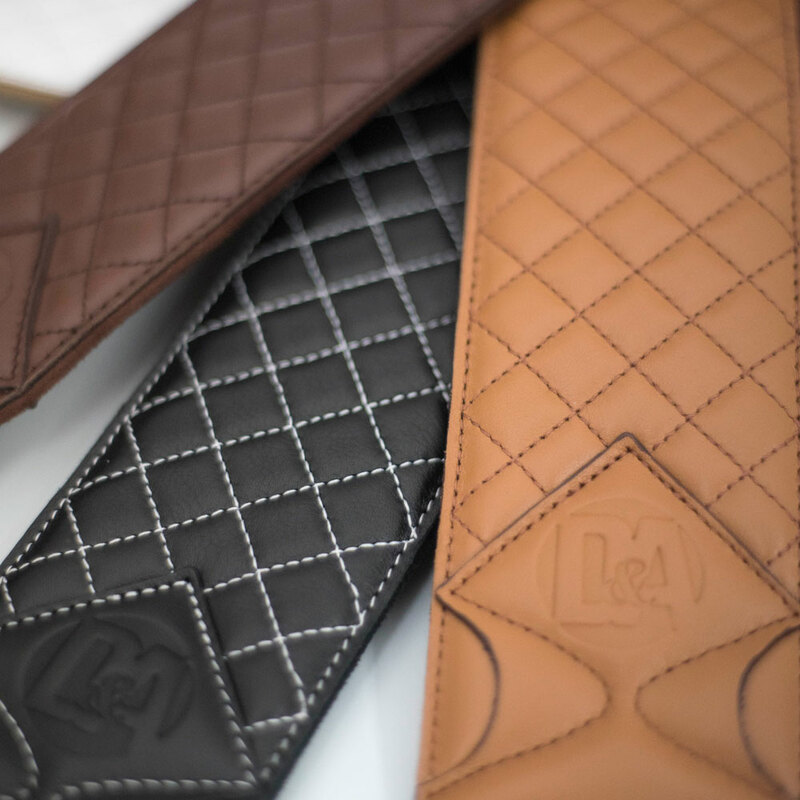 Hand-picked, hand-cut, hand-made quality quilted leather from one of the finest leather factories in Spain. 2.75-inch strap width for solid instrument support and player experience. Seven artistic color variations to choose from. Hi-quality, 100% Viscose that resists moisture and that provides amazing conformability to the player. The 100% Viscose is coated with a thin layer of beautiful microfiber that is super soft to the touch and provides incredible grip to the player’s shoulder for performance focus. Embossed D&A logo on the front of the strap end with custom branded screw catch elegantly placed on the back of the strap using 100% brass screws. Innovative strap adjustment allows player to adjust to size via one-time screw catch and set. Excess strap tail is concealed in body of the strap for sleek, modern design. Die-cut pick slits on tail of strap allows player to easily pull picks for live performance freedom, as well as pick holders on front and back of the strap end.